To complete the annual Re-certification paperwork, please click here. This form is only for existing AMIAS’s. 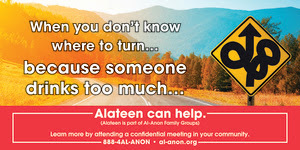 Members who are interested in becoming AMIAS’s should see the “How to become an Alateen Sponsor page in this Web site. For the required re-certification training, please see the events page of this website. Alateen Service manual from WSO Please note that the Area Safety Requirements take precedence over those mentioned in the WSO Service manual, if any questions, please contact the Area Alateen Coordinator. 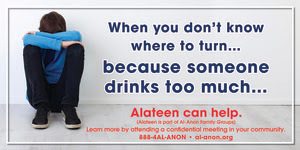 Please note that local contact information should be from a local service arm or from a certified Al-Anon Member Involved in Alateen Service (AMIAS). When your design is complete, please submit it to the World Service Office (WSO) for review prior to production.